One of Poland’s most important and independent postwar artists, Andrzej Wróblewski (1927–57) in his short life created his own highly individual, suggestive, and prolific form of abstract and figurative painting that continues to inspire artists today. 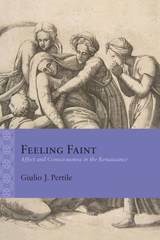 This volume offers a stunning presentation and thorough re-evaluation of his work and its legacy in the international context of art history. 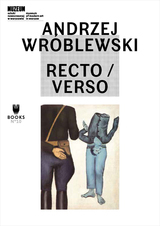 Offering an insightful picture of the world of postwar painting in communist Europe, and highlighting Wróblewski’s political engagement, the book helps us to understand the immensely evocative vision of war and oppression that he created. This close look at a painter and a period that are of growing interest for international art historians will serve to further cement Wróblewski in the postwar pantheon. The work of Slovak sculptor Maria Bartuszová (1936–96) was first presented to international audiences in Kassel in 2007. Although her art has appeared in influential exhibitions and been included in prestigious contemporary art collections, up until now, she has yet to receive the widespread recognition she deserves. Dziewanska’s book offers distinct perspectives on Bartuszová’s work from renowned international critics in an effort to increase our awareness of her sculptures. Working alone behind the Iron Curtain, Bartuszová was one of a number of female artists who not only experimented formally and embarked intuitively on new themes, but who, because they were at odds with mainstream modernist trends, remained in isolation or in a marginalized position. 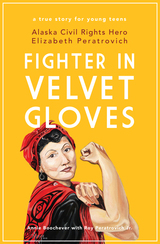 Revealing her dynamic treatment of plaster—a material that, from a sculptor’s point of view, is both primitive and common—the book deftly reveals how Bartuszová experimented with materials, never hesitating to treat tradition, accepted norms, and trusted techniques as simply transitory and provisional. 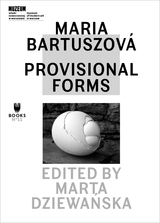 Offering a much-needed history of a vibrant body of work, Maria Bartuszová: Provisional Forms is an important contribution to the literature on great female artists. By placing emerging artists in their political and social contexts, this collection attempts to confront the new activist scene that has arisen in the Russian art world during the past years. The recent explosion of protests in Russia—often with their very purpose being to decry the lack of artistic freedom—is a symptom of a fundamental change in culture heralded by Vladimir Putin’s first election. This shift was precipitated by the change to a highly commercial, isolated world, financed and informed by oligarchs. In response, the Russian contemporary art scene has faced shrinking freedom yet an even more urgent need for expression. 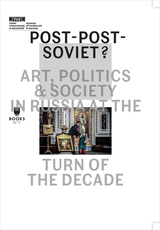 While much of what is emerging from the Moscow art scene is too new to be completely understood, the editors of this volume seek to bring to light the important work of Russian artists today and to explicate the political environment that has given rise to such work. Post-Post-Soviet? 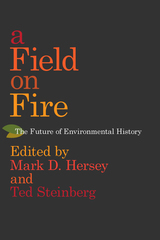 will feature both criticism by writers and scholars, as well as dialogues with artists. 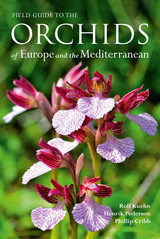 Contributors include Boris Kagarlitsky, Ekaterina Degot, Keti Chukhrov, Boris Buden, Artur Zmijewski, and others. Drawing on the work of prominent art historians, curators, critics, and collectors, this exhibition catalogue presents the most current research on the work of Alina Szapocznikow. Born in Kalisz, Poland, in 1926, Szapocznikow studied in Prague and Paris, spent the last decade of her life in France, and created an impressive number of sculptures and drawings that are now defined as post-surrealist and proto-feminist. Recent exhibitions of the artist’s work in Germany and France, along with acquisitions by prominent collections worldwide, have bolstered Szapocznikow’s international reputation and ignited discussion of her significance to twentieth-century art. 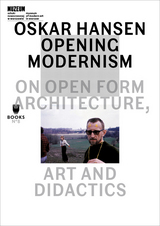 Following an international conference organized at the Museum of Modern Art in Warsaw in 2013, Oskar Hansen—Opening Modernism analyzes diverse aspects of the architectural, theoretical, and didactical oeuvre of Oskar Hansen, who was the Polish member of Team 10, a group of architects that challenged standard views of urbanism more than fifty years ago. In chronicling the impact of Hansen’s theory of “Open Form” on architecture, urban planning, experimental film, and visual arts in postwar Poland, this volume traces the flow of architectural ideas in a Europe divided by the Cold War. Through discussions of the ideas of openness and participation in state-socialist economies, Oskar Hansen—Opening Modernism offers new insights into exhibition design and the interrelations of architecture, visual arts, and the state. This beautifully illustrated volume offers a photographic tour of the iconic house of Polish architect couple: Oskar Hansen, member of Team 10, and his wife, Zofia. Located in Szumin in central Poland and designed in 1968, the house serves as a spatial manifesto of Hansen’s theory of Open Form, an inspiring concept aimed at opening the architecture for its users’ participation and transforming it into a passe-partout for everyday life. 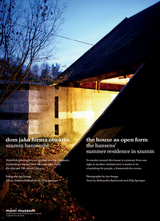 An essay on the house and its conceptual underpinnings by journalist Filip Springer accompanies striking photographs by Jan Smaga, and the resulting book is both a portrait of a specific dwelling and a larger analysis of the very idea of architects’ houses and their relationship to their owners’ work. The International Art Exhibition for Palestine took place in Beirut in 1978 and mobilized international networks of artists in solidarity with anti-imperialist movements of the 1960s and ’70s. In that era, individual artists and artist collectives assembled collections; organized touring exhibitions, public interventions and actions; and collaborated with institutions and political movements. Their aim was to lend support and bring artistic engagement to protests against the ongoing war in Vietnam, the Pinochet dictatorship in Chile, and the apartheid regime in South Africa, and they were aligned in international solidarity for anti-colonial struggles. 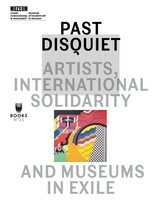 Past Disquiet brings together contributions from scholars, curators and writers who reflect on these marginalized histories and undertakings that took place in Baghdad, Beirut, Belgrade, Damascus, Paris, Rabat, Tokyo, and Warsaw. 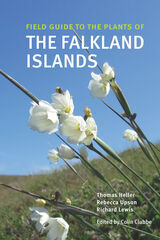 The book also offers translations of primary texts and recent interviews with some of the artists involved. This volume coins the term “Team 10 East” as a conceptual tool to discuss the work of Team 10 members and fellow travelers from state-socialist countries—such as Oskar Hansen of Poland, Charles Polónyi of Hungary, and Radovan Nikšic of Yugoslavia. This new term allows the book’s contributors to approach these individuals from a comparative perspective on socialist modernism in Central and Eastern Europe and to discuss the relationship between modernism and modernization across the Iron Curtain. 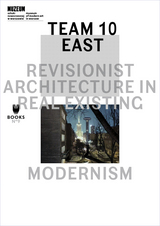 In so doing, Team 10 East addresses “revisionism” in state-socialist architecture and politics as well as shows how Team 10 East architects appropriated, critiqued, and developed postwar modernist architecture and functionalist urbanism both from within and beyond the confines of a Europe split by the Cold War.